Even though I have lived in such a tall city for more than four years, I only rarely find myself in situations where I am well up in a skyscraper with a good view. I’ve not even visited the observation deck in Burj Khalifa, and actually have never been higher than the 18th floor in that building. This is not something I’ve worked towards – I’m not afraid of heights – I just never find myself in a situation where I need to visit a high floor. The other morning, for art-related reasons, I found myself in a certain prime minister’s new offices in Emirates Towers. There were some nice views up on the 43rd floor, but in the scheme of things Dubai, having a 43rd floor view is not particularly hard to come by. Looking towards Old Dubai, Bur Dubai and Deira shrouded in smog. Zabeel Park is the green bit towards the front. The unglamorous white skyscraper on the far left is Dubai World Trade Center, and was the tallest building in Dubai until 1999. 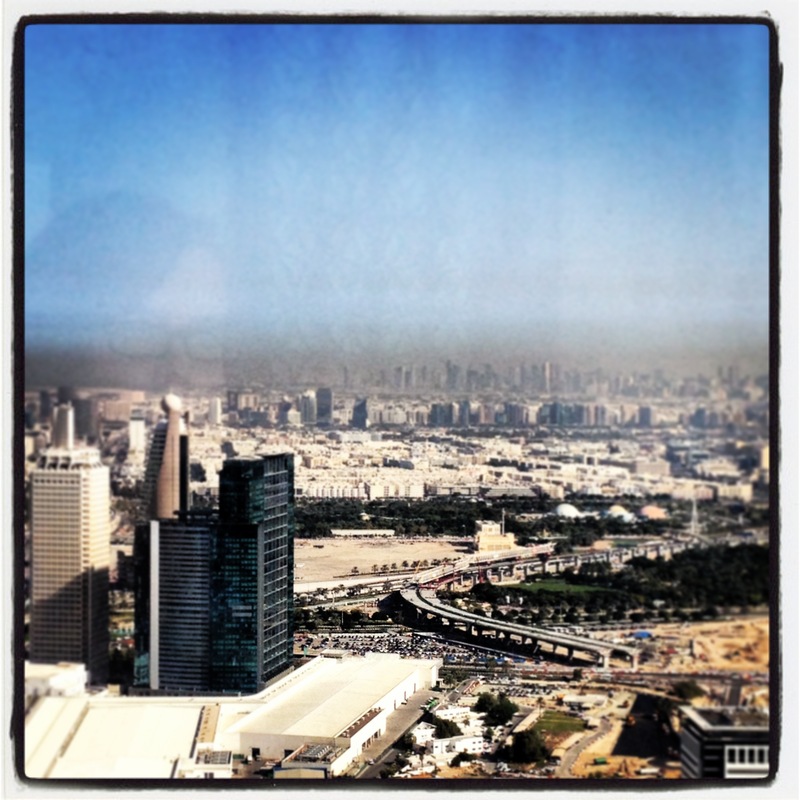 Looking towards Sheikh Zayed Road and the Gulf. 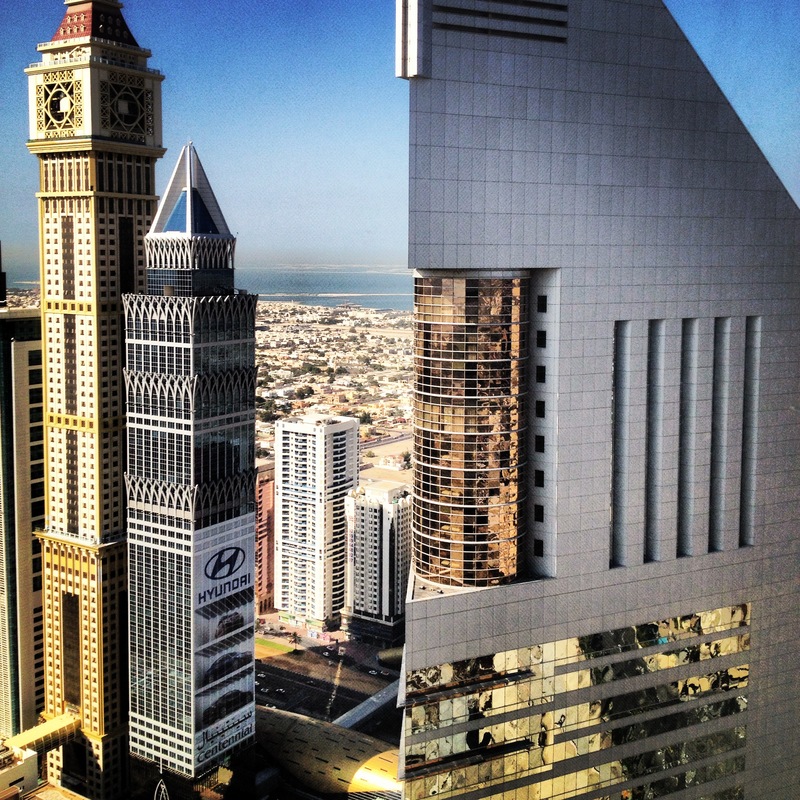 Emirates Towers consists of two triangular buildings that mirror each other. That clock tower skyscraper has been at that level of completion for years. While I lived in Satwa, I had views of the Sheikh Zayed Road skyscrapers from my flat’s balcony and was forever wishing they’d install that damned clock already, for my own time-keeping benefit. 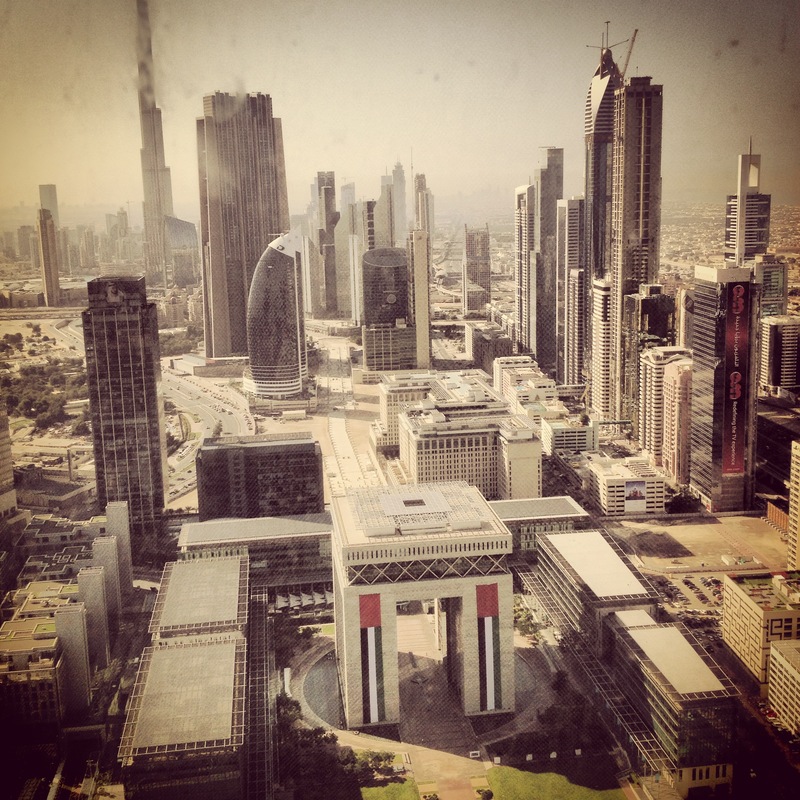 Looking at Burj Khalifa and, directly below, DIFC (good restaurant city), Sheikh Zayed Road on the far right.